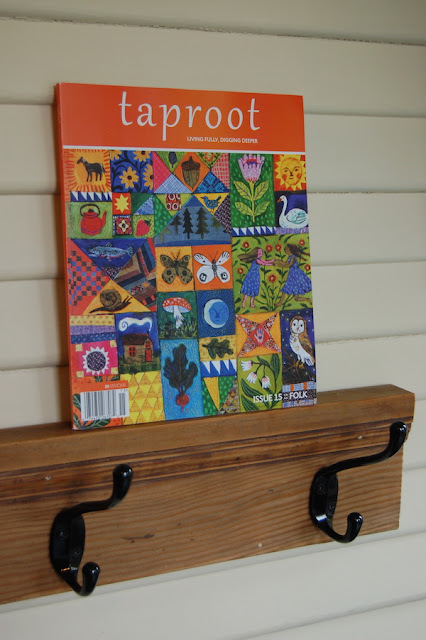 Kristen Johns: Thank you Taproot! 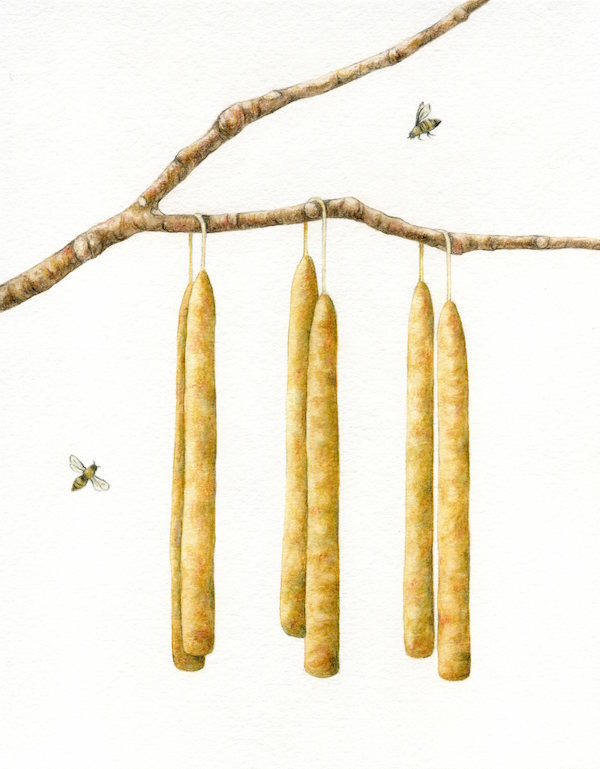 I'm happy to say that I made another drawing for Taproot Magazine! I'm always impressed with the great people that put this magazine together and I'm pleased as punch to be included! They asked me to do a custom drawing to accompany a poem on the final page of the current issue which is themed "Folk". 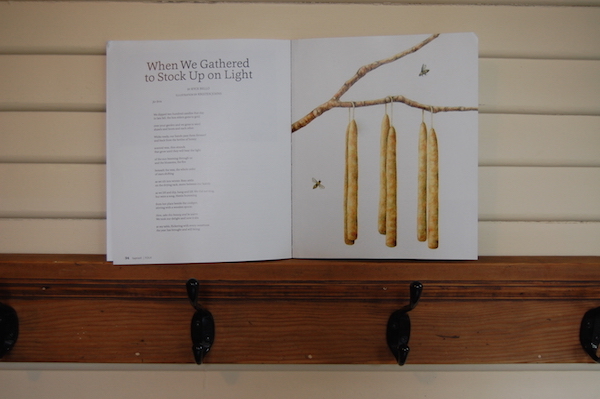 The poem "When We Gathered to Stock Up on Light" by Kyce Bello is about making candles by hand from bees wax. It's a really beautiful poem and I was happy to dream up an image to match it's charm and warm Autumn feel. It's starting to look like Fall in here!